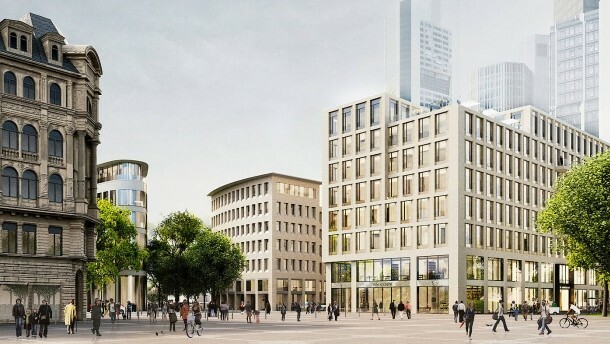 baumschlager eberle are going to build in Frankfurt. The architecture office in Berlin has won the realization competition staged by Allianz Real Estate in cooperation with the city of Frankfurt to elicit a design for the site at Opernplatz 2 in Frankfurt. With over 300 completed buildings be baumschlager eberle today counts among the successful architectural firms in the international context. Founded in 1985 in Vorarlberg (Lochau / Austria), succeed after Austria’s EU accession the expansion in Europe and the Far East. The high acceptance of the architectural firm results from a concept that knows how to combine the direct use value, the user needs and cultural sustainability. 12 Jul 2013 – With the award-winning office building Centurion Commercial Center 01 Council (DGNB Gold Certificate) and the known condominium Falkenried (see picture) the design studio has made in the northern German port city a good name. Reason enough to start with be hamburg the tenth site of the architectural firm worldwide. At the address Bäckerbreitergang 73 – only a thousand meters away from the Alster Lake – is a few days now a young team under the management of Arch Dipl Tim-Philipp Brendel at work. In Hamburg CEO Brendel appreciates, that it is metaphorically a place of short distances, so decisions are taken quickly. “We adapt very well to Hamburg. Here, quality is the focus, history and future are not opposites. People are friendly, trustworthy and personal responsibility is no foreign word, “Brendel notes. New projects from be hamburg are already being planned. The better the location, the higher the density – such wishful thinking on the part of the real estate sector has had negative consequences for the location and the residents on more than one occasion. But that is far from being the case at the former Dornier site in Lochau with its much sought-after views of Lake Constance. Concerning urbanistic planning, the law courts of Caen redefines a new domain in the centre of the City. The design of BE Hauvette Paris and Atelier d’Architecture Pierre Champenois for this public building was recently presented to the public. It comes with a quadratic shape which comprises several duties and responsibilities: The cube underlines by its form the importance of jurisdiction by the means of architecture. The principal urban development objective of this large-scale project, the dimensions of which far exceed those of the surrounding fabric, is to ensure the successful integration of the complex into a park-like setting. The use of a traditional courtyard structure is an effective means to this end. The point of departure was the rectangular volume, from which emerged a configuration of apposite urban proportions. The precisely articulated frame with its sturdy pilasters and vertically staggered stone joints inject rhythm into a rectangular facade that is supported by a fascinating arcade. Crowning the structure is the glass ellipse of a conference hall. The task was to provide the growing service city with a center, to absorb passenger flows in a new building, and to prepare the airport for future growth. An elegantly curved structure connects the new gateway to the skies directly to the existing Terminal 2.
be baumschlager eberle is a group of ten architecture practices worldwide. Founder and mastermind is Dietmar Eberle, who is Professor at the Swiss Federal Institute of Technology in Zurich. August 12, 2016 in Architects.